When choosing hardwood, the color, character, finishes and construction type are the important factors to consider. Color: The color of hardwood floors ranges from quite light to intensely dark and everything in between. While, as a rule, lighter floors work well in contemporary settings and darker floors are elegantly at home in more traditional rooms, choosing is essentially a matter of preference. Character: Naturally present in hardwood, grain variations help determine a wood's "personality". Dramatic grain suggests a rustic feeling. Historically, moderate grain variations are associated with the traditional. And hardwood with very little graining has a sleek, contemporary look. Finishes: At Tile & More Warehouse, you'll have a multitude of finishes to choose from - gloss or luster level, scraping degree and technique, wire-brushing, etc. 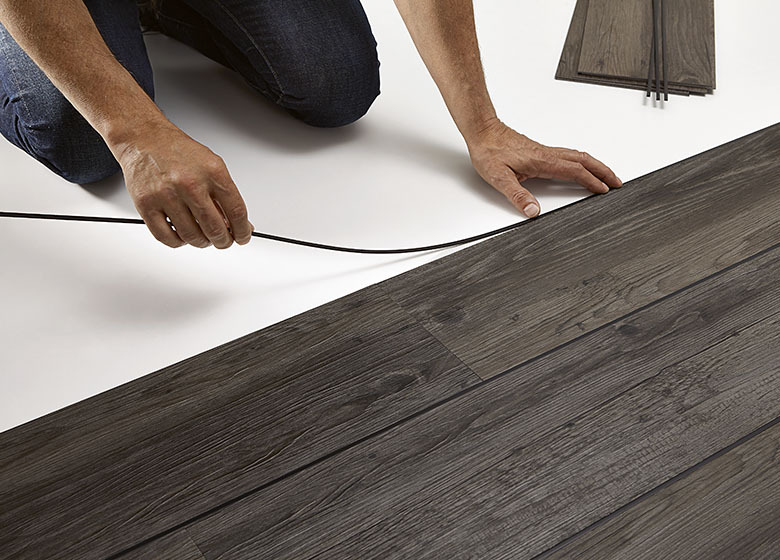 To choose what is best for you, ask our Flooring Experts to show you samples of the various finishes. Construction: There are two basic choices - solid or engineered. For a different material with the same look & feel as wood, Bamboo is also a fantastic option. Pros: Vinyl matches laminate in cost, looks, and DIY-friendly installation but beats it hands-down in its performance in humidity. Cons: Because laminate is thicker than vinyl and incorporates wood content, its easier to walk on and is warmer to the touch than the vinyl. With the introduction of plank shapes that are long and narrow, mimicking real wood boards; "click" joinery (which allows adjoining boards to snap together and improved printing and texturizing techniques that resemble wood or stone, vinyl flooring is on the rise once again! Pros: Affordable, easy to clean and care for, and easy to install. Cons: Laminate flooring will react to standing water and strong humidity in the same way as solid wood flooring. 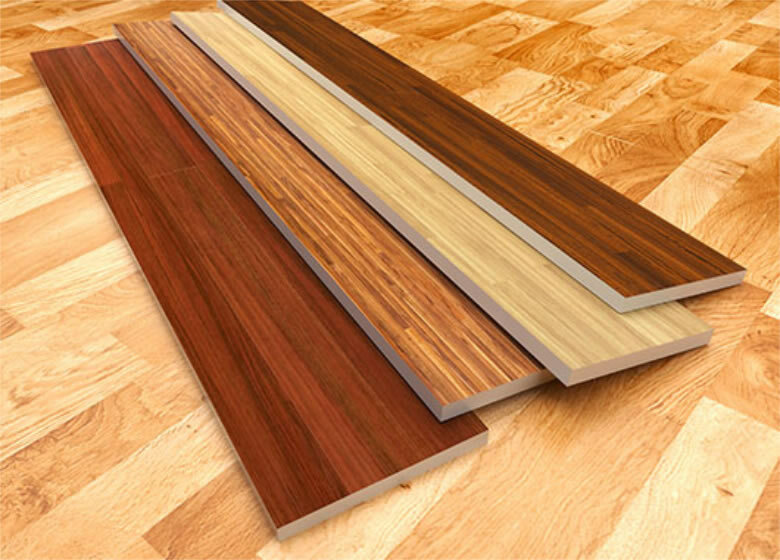 Laminate is made up of a core layer of dense fiberboard with a plastic top wear layer. Lamination is the technique of manufacturing a material in multiple layers, so that the composite material achieves improved strength, stability, sound insulation, appearance or other properties from the use of differing materials. Laminate provides the exceptional combination of style, performance, ease of maintenance and installation. 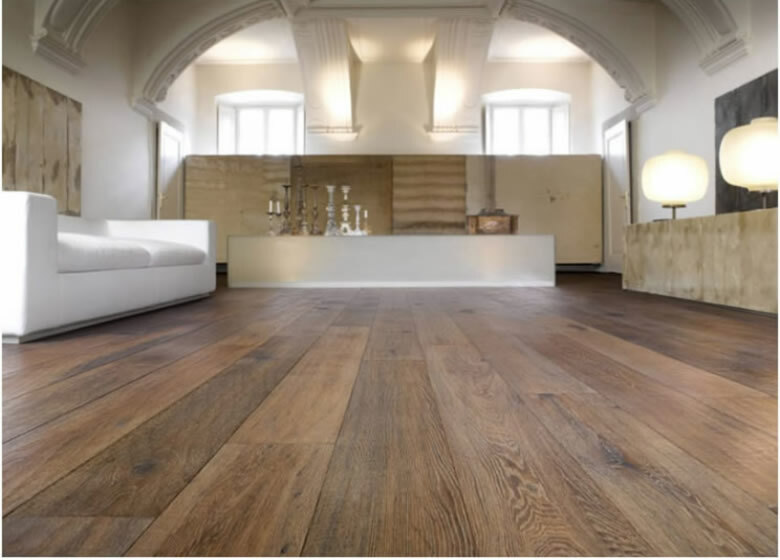 Pros: Engineered planks are made from several layers of wood (with a core of plywood or HDF) and are designed to withstand higher levels of humidity. Cons: The only con is that because the top layer is so thin, it's not possible to "refinish" engineered hardwood more than once or twice. Hardwood planks classified as "engineered" feature multiple layers (typically between three and five) that are bonded together under extreme heat and pressure. The layers typically include a top veneer of hardwood backed by less expensive layers of plywood.